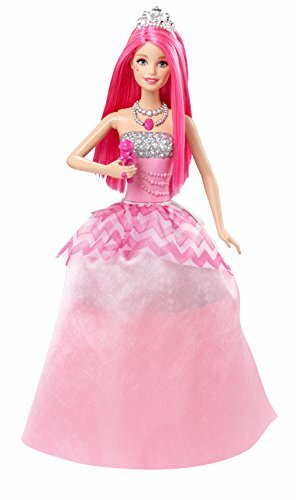 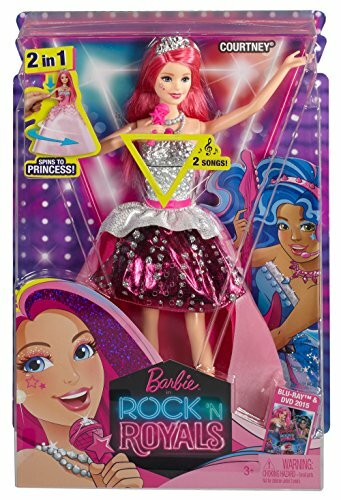 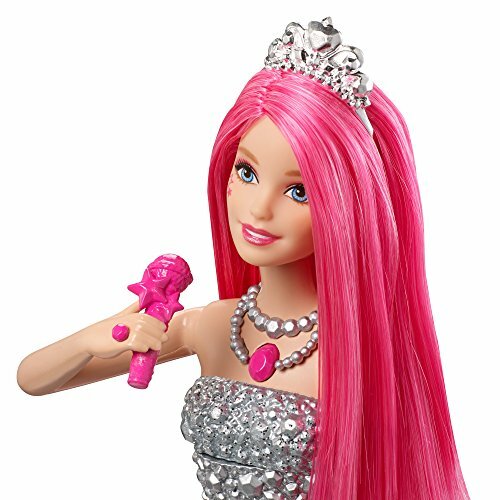 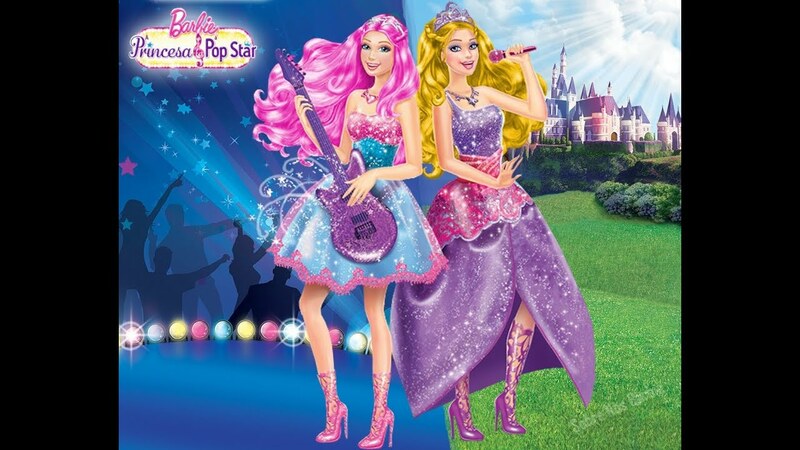 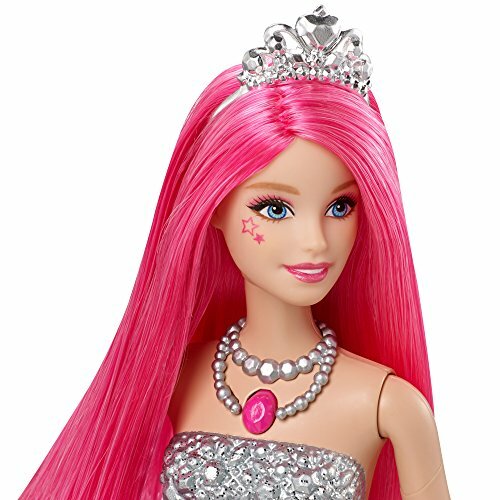 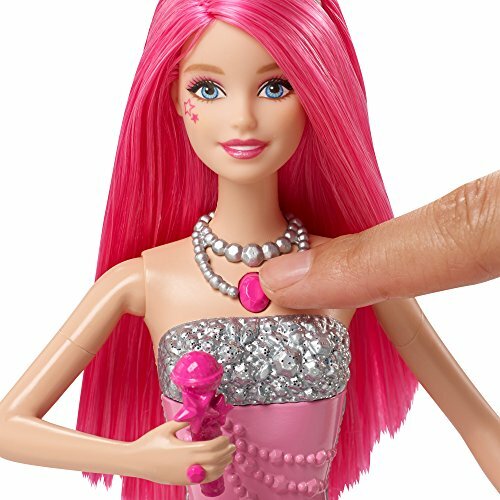 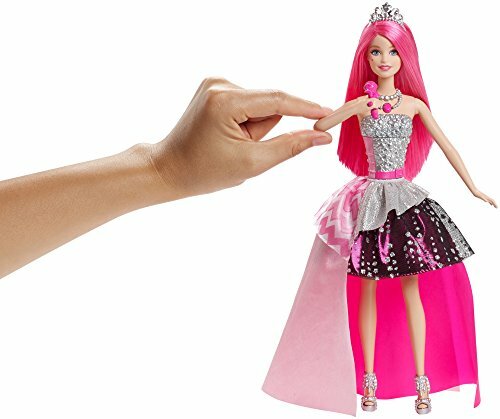 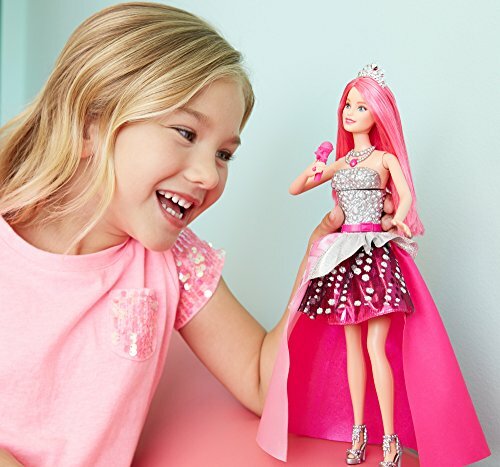 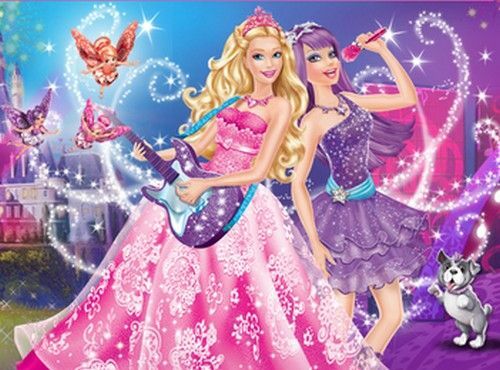 Transform from princess to pop star with this singing Courtney doll from Barbie in Rock ‘N Royals;Lift the pink microphone to her mouth to activate her transformation from princess to pop star and play two songs from the movie! 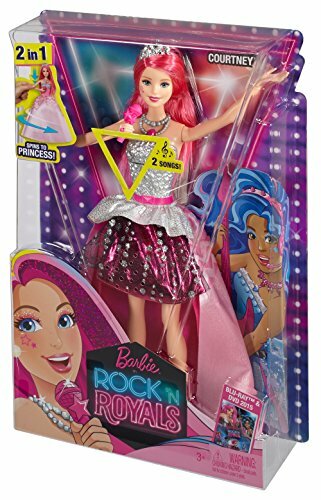 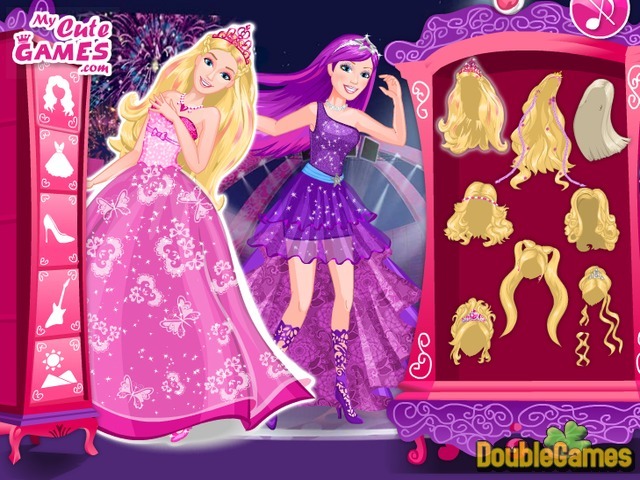 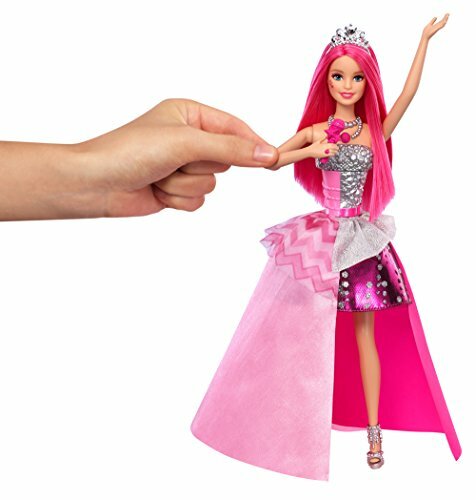 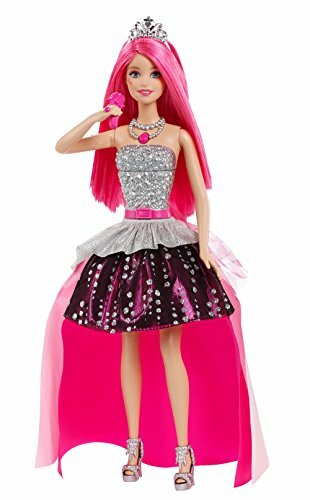 ;Courtney doll’s skirt magically twists around changing her look from royal to rocker;Pull her microphone back down to transform back to a princess;Her princess gown is classic pink with a trendy studded silvery and pink bodice and modern chevron-print peplum;With household brands like Barbie, Hot Wheels and Fisher-Price, Mattel has been at the helm of creating fun and adventure for children since 1945. 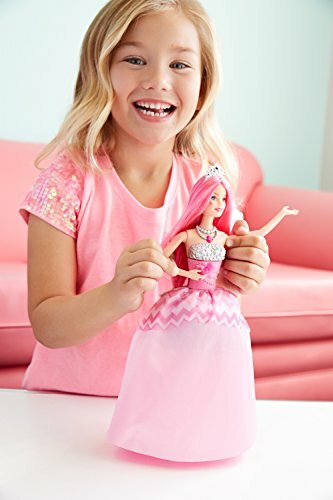 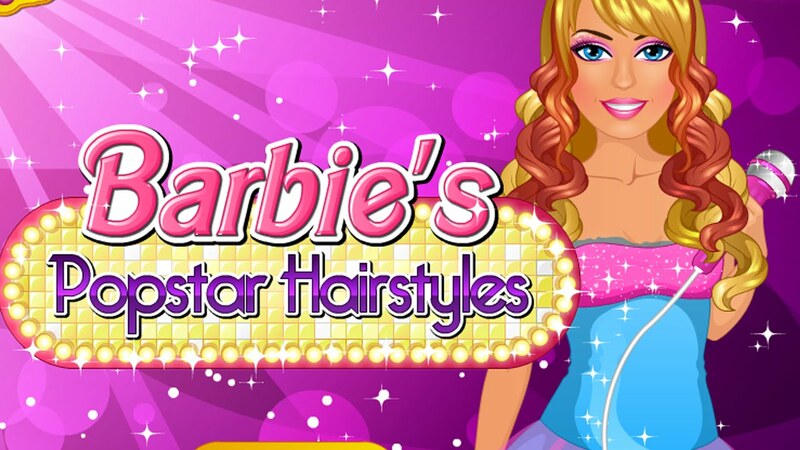 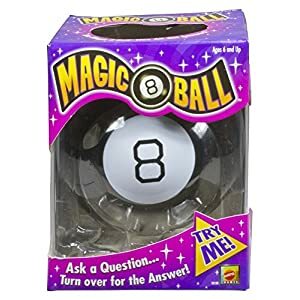 The company, started by Harold Matt Matson and Elliot Handler, believes in the importance of play in a child’s life and reinforces that with every Mattel toy.